L. George Rieger has had a long and distinguished career with more than 46 years of experience in the financial community along with a rare legal background that has proven extremely valuable in structuring municipal bond issues. Greenwich Investment Management entered a period of rapid expansion when George joined GIM in 2007 as Managing Director and Executive Committee Member. 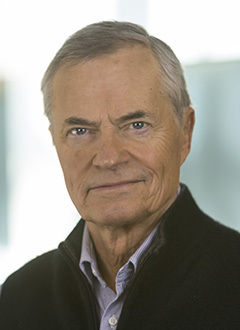 Earlier, George was a founding member of Hamlin Capital Management, Inc. and the founder of RRH Capital Management, Inc., where he established the firm’s impressive record in the management of high yield tax-exempt bonds and high yield equities. 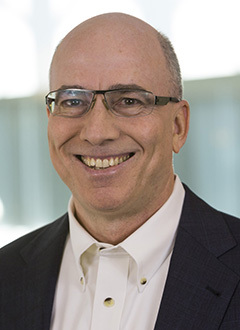 George began his financial career at T. Rowe Price Associates LLC, becoming both an officer and stockholder, after graduating from Yale Law School. Peter brings more than 25 years combined experience in investing and operations management. As President of Greenwich Investment Management, Peter identifies and negotiates fixed income opportunities and manages client portfolios. He is responsible for business development, general management and the firm’s overall business performance. 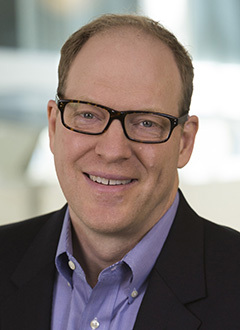 Prior to joining GIM, Peter was President of Courtney Capital Management, LLC and served as a Portfolio Manager and Marketing Strategist for RRH Capital Management in New York City. Earlier, he worked as a research analyst for Oppenheimer Capital and also as a research consultant for the Courtney Group Inc., a mergers and acquisitions firm — both while working toward an MBA in finance. He gained extensive operational and marketing experience co-managing and acting as senior trader for Chicago-based Steelmet, Inc.
Heather joined Greenwich Investment Management in 2007 and directs all aspects of the firm’s operations and administration. She is responsible for ensuring exceptional client service along with comprehensive compliance support, technology systems operation, custodian interaction, portfolio reconciliation and reporting. 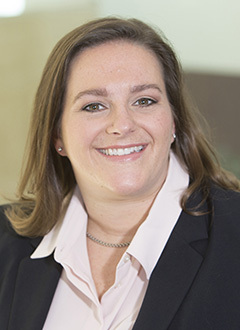 Heather serves as an alumna of the TD Ameritrade Institutional Operations Panel that provides guidance on TD Ameritrade Institutional product and service offerings and was awarded Back Office Certification from Advent, the firm’s Portfolio Management System. Previously, Heather served as an Associate Financial Representative at Northwestern Mutual where she administered the fulfillment of client insurance and investment needs. Heather achieved her NASD series 7, 65 and 63. Drew is a Managing Director at Greenwich Investment Management as well as Portfolio Manager, Head of Institutional Client Relationships and Director of Equity Research. Prior to joining GIM, Drew operated his own firm for more than four years. Prior to that, he was with TIAA-CREF, the leading retirement provider of financial services for the academic, research, medical, cultural and governmental industries, where he served as Head of the organization’s international active equity investments, Co-Manager of the Stock Account and Lead Manager of the firm’s Global Equities Account. Drew was also the Co-Founder of Federated Global Investment Management, a wholly-owned subsidiary of Federated Investors, one of the nation’s largest mutual fund companies. Brian joined Greenwich Investment Management in 2010 and is responsible for all transaction-related activity in our Equity, Fixed Income and Portfolio Management areas. As the Associate Director of the Equity Unit, Brian conducts research and makes recommendations on the firm’s common stock holdings. Previously, Brian was an Investment Management Consultant with FactSet Research Systems, where he provided value-added advice and support to clients of hedge funds, mutual funds, private wealth advisors, quantitative asset managers and alternative asset managers throughout the Mid-Atlantic region. 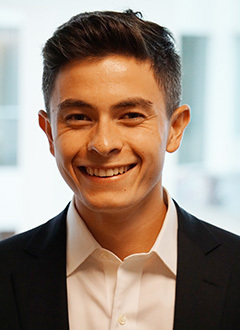 Earlier, Brian worked as an intern at T. Rowe Price Associates, supporting institutional portfolio managers and groups within the Investment Operations Department. He holds two B.S. degrees from the University of Delaware, one in Finance and another in Marketing. He is a CAIA charter holder and a member of the Chartered Alternative Investment Analyst Association. Elaine joined Greenwich Investment Management in 2013 and provides exceptional client service and trade support while also managing portfolio reconciliation and client billing. Attending numerous conferences and workshops throughout the year, Elaine maintains insight into evolving industry issues and possesses Axys Back Office Certification. Earlier, Elaine worked for ten years at Armstrong Shaw Associates as a Portfolio and Trade Administrator, where she introduced procedures that effectively streamlined processes and reduced errors; she also participated in multiple system migrations. Elaine’s previous experience also includes working as an Export Logistics Coordinator for a major commodities firm and in accounting for a venture capital firm. Nydia joined Greenwich Investment Management in August 2017. Nydia’s primary role is to deliver superior support for a smooth client service experience. In addition, she provides the operations team with essential support in trade and portfolio reconciliation. 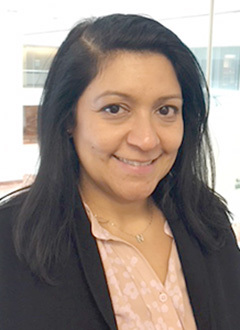 Nydia is a thirty-year veteran in the asset management industry; before joining GIM, Nydia worked as Senior Equity Trader for Bennett Lawrence, an emerging growth Hedge Fund and Asset Manager in New York City. During her tenure there she gained extensive trading and operational knowledge in all aspects of the asset management world. 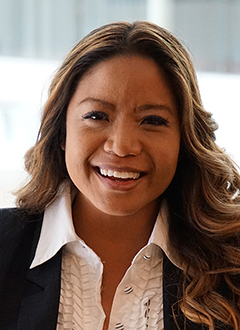 Nydia attended Blake Business School and achieved her NASD series 7 and 65. Susan joined Greenwich Investment Management in 2007 after lending her talents to diverse industries in New York, Los Angeles and Chicago. 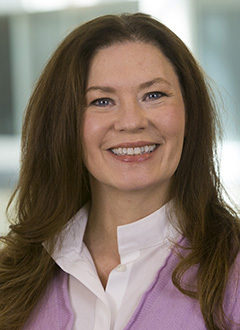 In addition to her current responsibilities as Assistant to the Chairman, Susan also handles portfolio administration and serves as the firm’s manager. Jin joined our firm in 2015 as a Securities and Portfolio Analyst. Her examination and graphical evaluation of client portfolios are vital to helping clients understand how their investments are performing. Applying her project management background and Agile methodology, Jin ensures that investment processes function smoothly, compliance requirements are fulfilled and that business operations and technology projects produce optimal results. Previously, Jin worked at Armstrong Shaw Associates, where she served as Compliance and Technology Manager, revamping that firm’s SEC filings, proxy votes and other compliance procedures to align company operations with regulatory requirements. She was also a valued member of the company’s compliance committee and accelerated migration from AIMR to GIPS compliance. In her earlier role there as a Business/Technology Project Manager and Business Analyst, she significantly reduced the company’s risk potential by redesigning how it handled client correspondence, archiving, performance and CRM systems. Dane Krchnavy brings both technical and technological strengths to the firm. He performs fundamental and technical equity analyses, also auditing and quantifying summary reports essential to evaluating target companies. His fluency with trade order management systems, reporting and accounting solutions and other platforms facilitates trade reconciliation, customized reporting and compliance fulfillment. Dane works closely with all team members to ensure the highest level of customer service; he is actively engaged in executing funding wires and transfers, monitoring portfolio performance and ensuring impeccable client communications. Earning a Bachelor of Science from Sacred Heart University’s Jack Welch College of Business, Dane pursued a double major in in Finance and Business Economics and participated in the University’s Investment Management Program. 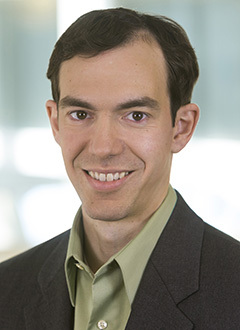 Dan provides the firm with rigorous analysis of opportunities in the fixed income arena. He joined GIM following his graduation from McGill University with a major in Economics and a minor in Finance. 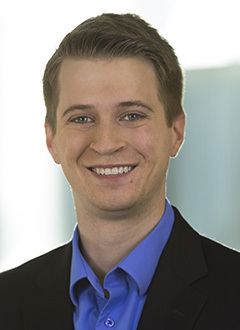 Previously, Dan interned at Conning & Company, an insurance research, advisory and asset management firm. As Controller, Susan Lovallo directs all the firm’s finance-related functions. She leverages her extensive experience in the areas of accounting, finance, personal and business money management to develop analytic tools that benefit our clients and to streamline processes for maximum efficiency. 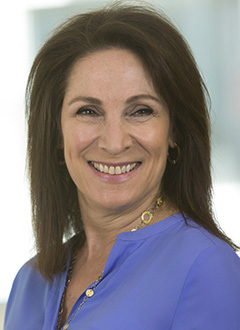 Before joining Greenwich Investment Management in 2009, Susan held accounting positions at Automatic Data Processing and Business Express Airlines, and was the Accountant for the Town of Monroe, Connecticut. She holds a B.S. in Accounting from Sacred Heart University where she was awarded the Medal of Excellence. 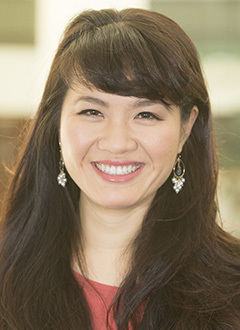 She is a Certified Public Accountant and earned a Merit Award from the Connecticut Society of Certified Public Accountants. Susan is a member of the American Institute of Certified Public Accountants (AICPA). Mary Ann brings to Greenwich Investment Management deep experience working closely with senior leaders. Most recently, she supported the efforts of the Managing Director and Co-Head of Private Credit at Eaton Partners, a Stifel Company in Rowayton, ensuring smooth operations throughout the real estate, private equity and real asset departments. 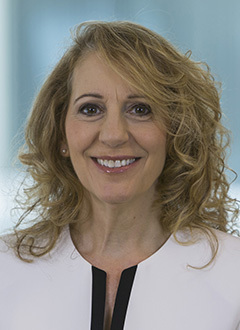 Prior to that, she spent 12 years at Fairfield and New York-based Ceruzzi Properties where she served as Executive Personal Assistant to senior management and, ultimately the firm’s owner and President, interacting closely with senior executives, colleagues, national and international business partners, celebrity guests, and external service providers. Mary Ann is skilled in a broad range of technology and communications platforms and is a talented liaison between our firm’s management and valued clientele.